I attended a conference this weekend called 'Go For Souls' and was a time set aside to be trained and equipped for the work of evangelism. Check out www.whollyholy.blogspot.com for more on that. Ephesians 4:11 says that some are called to be Apostles, Prophets, Evangelists, Pastors/Teachers. I believe that. Some are gifted at being evangelists (Someone that shares the gospel of Jesus Christ with others), but all are called to evangelise. Lets be challenged to share the message of Jesus with others. I led an elective about reaching our families with the gospel. Here's some of it: Paul and Silas, in Acts 16:16-34, after being thrown in jail began praying and singing hymns to God in their prison cell. Then the prison gates flew open and the chains fell off all the prisoners. Then the jail worker was about to kill himself (because he was in strife since Paul and Silas were going to escape), and then Paul and Silas said to him, 'Believe in the Lord Jesus and you will be saved - you and your household.' The rest is history. * The foundation for any sort of ministry or evangelism, is prayer and worship. This becomes the power of God behind our ministry. * When Paul and Silas prayed and worshipped God, not only were their chains broken, but those in the prison cells surrounding them! The Spirit that surrounds our worship impacts others! 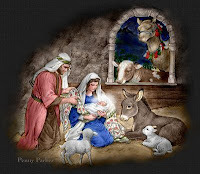 * The whole of the Jailer's family was saved. They began following Jesus. Let's believe for all our families to believe the gospel and become followers of Jesus. * Christendom and Modernity are in rapid decline. * Baby boomers are the last generation happy with modern churches (pp. 16-23). Attempt to understand the surrounding culture. Don't bother with Rock bands if your communities into sport. Why even have the 30 minute sermon, if your community prefers to sit around coffee shops and talk through issues. The gospel of Jesus hasn't changed. The methods we use to engage culture with that gospel must. (1) A vicarious function - Service or ministry is applied not just on behalf of the people, but sometimes instead of the people. (2) The ontological difference - A person becomes a priest, e.g. via ordination. (3) The sacramental difference - The priest is the one able to offer the sacraments to others, e.g. Communion, Weddings, etc. (4) The professional status - The priest is seemingly the only one qualified to do the work of minsitry. (The Other Six Days, p. 31). Clergy should never mean one is more entitled to do the work of God, or is meant to fulfill the mission of God on behalf of the people. Laity actually means 'the people of God', and so actually refers to the whole community of faith. Clergy merely fulfill a different function within the mission that the church is called to. How does this work practically in the church? The minister is not the only one who cares for the congregation! The minister is not the only one who can preach, teach or pioneer. In fact the very idea of calling this person, 'the minister' kind of assumes the other people are not 'ministers' which again is false. Its time to rewrite the future of the church... All people are ministers, and while some may enter training to be more equipped to fulfill the roles that they will one day have, all are called to make a difference in the ministry of Jesus.
" THE Salvation Army in Pakistan is providing assistance to some of the thousands of people made homeless by an earthquake in the north of the country. The tremor, measuring 6.2 on the Richter scale, struck the region near the border with Afghanistan on Wednesday 29 October, killing more than 200 people and destroying whole villages, leaving 45,000 people without homes. Severe aftershocks continued to be felt for another three days, making access difficult. " * Why worry about the 'future', when God is in your 'present'? There are so many Bible references sharing the fact that, 'God is with you'. Joshua 1: 9 - 'Be strong and courageous, for the Lord your God is with you whether you go'. Matthew 28:20 - [Jesus says] 'I will be with you to the very end of the age'. Romans 8: 39 says, 'Nothing can seperate us from the love of God'. Psalm 139:7-8 says, 'Where can I go from your Spirit? Where can I flee from your presence? If I go up to the heavens, you are there; if I make my bed in the depths, you are there'. Next time you pray, don't pray, 'God, please be with me today', but rather pray, 'God, help me understand you are with me today'. Whatever the circumstance, whatever the situation, remember, God is with you. 'I least like dealing with the breaking down of regulatory or bureaucratic barriers; while all large companies have them, you always want your company to be as fast and nimble as any other'. 'I have a fundamental belief that most people underestimate what they're capable of, and sometimes it just takes some coaching to unlock their thinking'. 'They are charismatic, dynamic, optimistic, socially adept - not narcissistic - and are expected to be trustworthy and have foresight'. 'In other countries, particularly in Asia, where hierarchy and authority is often valued over relationships, a relational style of leadership is not necessarily going to work'. There's some leadership thoughts for you. I understand all the emerging, postmodern Christians on the journey might not connect with all of it... ahh well. I find myself concerned that these businesses become so powerful, they are able to control the market. Woolworths and Coles can control the price they offer farmers, because where else can the farmer go to sell his produce? Cadbury-Schweppes & CocaCola can squeeze out other competitors because they own the whole manufacturing processes that assist in bottling, warehousing, and finally getting your drink on the shelf. They then can control the price. What about Fairtrade when it comes to these local issues? What about accountability for these businesses? Should these businesses be more transparent with their practices? Melbourne Corps 614 hosted a great line up of informed speakers at Urban Conversations, to speak about an increasing issue in Melbourne: Binge Drinking. Dr. Michael Carr-Gregg spoke passionately about attempting to raise the age of drinking alcohol to 21, seeing the benefits this has had in America. He said that companies benefiting financially from Alcohol sales have the 'ethics of a cash register'. Good call. The Editor-in-chief of the Age promised to advocate strongly within The Age newspaper against Binge Drinking, and to bring awareness to the effects that excessive drinking has, especially amongst teenagers. The media, and many agencies in the past joined together to change the paradigms of thinking regarding smoking; to the point where smoking is no longer seen as 'the cool thing to do'. * Theologian N.T. Wright says that Christian hope is more than just getting to heaven when we die, but about God bringing about New heavens and new earth. Heaven is not just a future reality, but the presence of God around us today, this is really like heaven on earth. Thanks Jesus. We look forward to the future that you have planned for us, found in Christ. --> The corps would be caught up in power, and would be a reflection of Christendom (buildings matter most). --> Quick decision making, good leadership development, many people becoming committed followers of Jesus. I turned on the TV yesterday, and found myself watching some sort of Charismatic celebration, like I was watching a Pentecostal Church Meeting on the screen, but it was something else. I don't buy it. I don't understand how you could be ok with receiving THAT amount of attention. In the Christian vernacular we have the word, 'humility'. That's why when most Christian bands I've seen, or preachers come out and preach, they turn this praise towards God. I mean sure acknowledge the encouragement you are receiving, and be thankful for it, but humility forces you to only take so much of this charasmatic support before you must sent it heavenward! I felt that if you took away Ellen or Oprah, or Dr. Phil and put the Saviour of the World there, right in the middle of the stage.... then you'd have a meaningful, exciting, passionate worship meeting, where God was being glorified. Who do you give your praise to? People ask me how I am going, and if I am looking forward to Commissioning and other questions of the like. At present most cadets have assignments their completing, and I've got a good handful left, but am learning much about: the nature of God, who 'I am' in Christ, some historical learnings about the Church in the Reformation Period (1500 - 1600s), and King Henry VIII (16th C) who started a breakaway from the Roman Catholic Church and thus the beginnings of the Anglican Church. I'm excited to see where some officers are appointed and moved to, as this is communicated in the next couple of weeks. * The fact that Kevin Rudd attended New York to attend a gathering primarily focusing on Governments fulfilling their role in 'Making Poverty History'. Kevin Rudd promised that he would raise Australia's contribution up to 0.5% of Australia's GDP, by 2015. (The promise was initially 0.7%). America is currently at a lousy 0.1% and President George Bush has not done much to rectify that! Governments can help alleviate world poverty; but will they choose to? * We have a responsibility to live out our Christian faith by supporting the powerless in our communities; the addicted, the homeless, etc. * 2 were chewed to billio. So next time you're giving out pens, expect 20% to be gnawed like there's no tomorrow. Jim Scorse said to me recently, '7 days without prayer makes one week (weak)' Nice. The word laity comes from the Greek word 'laos' which means, 'people of God'. There was never meant to be a clergy and laity divide. We are all part of the 'laity'. Officers and priests are not more important than other believers in Christ, they just fulfill a different function within the body. * We had Commissioner Wesley Harris come and speak to our class today. He spoke about the start of what is called the High Council, which first happened in 1929. The first General of The Salvation Army was William Booth, followed by one of his sons, Bramwell. The issue then arose about how does the Army elect a new General? Well, the High Council was formed, and Edward Higgins became the 3rd General in 1929. 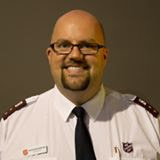 He led the Salvos through a stormy time apparently, and this was the first time The Salvation Army was empowered and led by someone outside the 'Booth Family'. * There's joy in the understanding that a God who created everything, knows you and loves you. * Aggresive Christianity Conference is happening soon in Melbourne. 1st Oct - 3rd Oct. Come along if you're around. * Major Mim Adams spoke today about the program called S.A.G.A.L.A. What a facelift this program has had. We no longer work with kids from the stable family unit, with a reliable, caring Mum and Dad and lovely younger sister to play games with. Some families are broken; the Dad comes home drunk, the brother has A.D.D. and the Mum or Dad doesn't always put breaky on the table. S.A.G.A.L.A is really a creative way to engage young people in developing life skills, while finding a relationship with Jesus in amongst it all. It's updated, kids love it, and sometimes whole families find faith in God! Can I get a Witness on? Do you know that the word witness, comes out of the word martyr? Interesting. In Acts 1:8 it says that you will have power when the Holy Spirit comes upon you, to be my witnesses...to the ends of the earth. The kind of witnesses that radically live out their faith in Christ no matter the environment; faith or no faith; secular or spiritual; political or humanist. Whatever the world view, whatever the fabic of society holds to, there is a culturally relevant message of Jesus to be shared in every community. The last two years at the Training College, I've been a part of the Witnesses for Christ session. In fact for the rest of my life, this sessional name will ring in my ears. To me, it conjures up images of connecting with society and the unchurched. I think of sitting around the BBQ with a mate talking of faith issues, discussing the political atmosphere with someone on the train and my Christian's view on those politics. Or, giving a positive repsonse to the Supermarket check-out assistant, or witnessing of the death and resurrection of Jesus at the Men's breaky on Saturday morning. In parts of the Church you hear about a divide between the sacred and the secular. Quite often we compartmentalise our Christianity, that is, we put faith in one box, and then we put work in another box, thinking they are seperate. Here's the thing... We can no longer talk about 'attending church' on a Sunday, as if we are fullfilling our time at 'Church', and then forget about God throughout the week. When someone becomes a follower of Jesus, they offer their whole lives as living sacrifices before God. It doesn't matter if you're praying, shopping or cleaning the toliet, why not offer it as a time to honour God. Don't look at your work as seperate from your faith. Don't have a 'go to work' and then 'go to church' mindset. Rather have a 'Lord, let my faith be lived out at work and in the church' kind of mindset. Christian spirituality has been the integral and fundamental part of society. Popes have been in charge of government and the world used to look to Christian ministers for decision making. Times have changed. We live in a post-Christendom era. That is, the church is no longer the centre of society. In Australia, the church is on the sidelines, sometimes yelling out principles of holiness to a coutry that doesn't always listen. It's not good enough to try and make the church the centre of it all again. 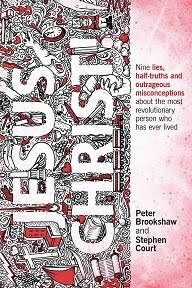 Let's face it, the early church grew fastest during the first three centuries when it didn't have governmental authority and some new followers of Jesus were persecuted for their faith, some even martyred (read about a guy named Polycarp!). So how does the church exist in this post-christendom era? I think we need to stop pumping up the idea of the church to people who are anti-church. Lets rather talk about God and the fact that Jesus can bring freedom into people's lives. After all, we're about witnessing the growth of the Kingdom of God, not the Kingdom of the Church. Right here, at this significant moment, Jesus tells the people his future mission. He says, and this scripture is fulfilled in your hearing this day (see Luke 4:14-30). It's time to unroll the scroll. Too long have churches rolled up the scroll, and said, this mission is too hard, it's too costly, it's too demanding, it's too tiring. Hey. Unroll it. Check out the mission that Jesus is on about, and be on about the same. Lay aside your life for the task of winning the world for Jesus. No other task seems to compare. Then, we won't be able to hold back the Revolution that God will bring. There's lots happening on my side of the woods, here at the Training College. We've got TACO Trivia Nights happening in Sept/Oct, raising (hopefully) heaps of money for Cadets in Third World Countries (Stay tuned). Chris and David, officers from Tanzania, shared their stories recently at the TC, and spoke of the need to realise the power that there is in the name of Jesus, especially in a place where down the street the local witch doctor is doing business! 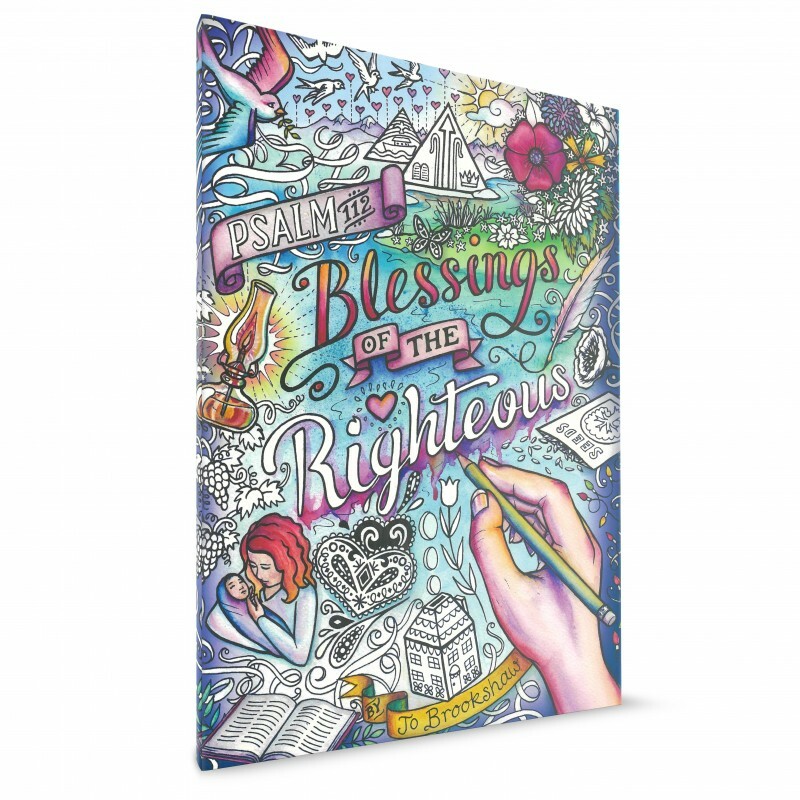 Do we believe that we can be sanctified (holy) this side of heaven? I mean, not merely inputed righteousness (as if we were holy...), but imparted righteousness - actually being holy! I believe it. After all, God is the one who sanctifies. So everyday is an adventure. Ready to be lived out for the glory of the Lord. Ready to be expressed in love and service towards people, and passion and holiness before God. I have been praying over the last week, 'Lord, break my heart for what breaks yours...' I didn't think much of it, and a couple of days past. Then yesterday we had a Spiritual Day at the College. In the first service I found myself at the mercy seat, kneeling before God, crying out for the visions and dreams on my heart to become a reality. That's God Kingdom would be established in every Country and in the life of every human being. The afternoon came and I found myself again strongly touched by the call to share the message of Jesus to people outside of the Church's four walls. I cried, and cried and the tissues were helpful. Then I realised what I had been praying earlier. 'God, break my heart for the things that break yours.' I found in my spirit a deep grief for those without the understanding of the love of God. I found myself yearning and praying for Countries in which the Gospel of Jesus doesn't penetrate. I believe God is developing in me, his heart for the World. Sure, God's is loving, and compassionate, and full of grace and mercy... but God also grieves and longs for creation to be reconciled back to himself, a reconciliation that requires a response from humanity. Some misunderstand my recent feelings as 'emotional instability', or 'Pete must be going through a rough time'. Not at all. Win the world for Jesus is the catchcry of The Salvation Army and what a good start it is to begin with capturing God's heart for the World. Strength - We are empowered to love God with our actions, our life, our personality, our all. We need a radical balance of these four concepts Jesus teaches us. We cannot merely love God with great passion and zeal, and let it become mere fanaticism. Conversely, merely following God from a purely theoretical position without a heart felt connection with the creator becomes dry intellectualism. Famous Last Words was a challenging night recently as Commissioner Brian Morgan shared his 'Famous Last Words'. He shared passionately about the gospel of Jesus being URGENT, and that we should go for it! He asked the question, 'Since when did the gospel become more about maintenance than about Mission'? Ouch!! Love it! Captain Danielle Strickland inspired us to worship and she mentioned for those gathered at that time, you don't need to find the latest evangelism conference to go to, just find someone and talk to them about Jesus! (Not rocket science). Cadet Scott Ellery preached up a storm at South Barwon Corps (Western Victoria) this morning, preaching about God's glory being revealed in creation (e.g. the Grand Canyon, or a sunset on the beach), God's glory is revealed in the Scriptures (where we learn more of who God is), and God's glory is revealed to others through our witness (Maybe people can see God in us?). I know of a few friends signing up for Training College next year. Are there any people in leadership you need to release for them to fulfil this calling? I heard recently the common known phrase, 'Too many Chiefs not enough Indians'. I thought on that briefly, and thought, in many Salvation Army contexts we have, 'Too many Indians and not enough Chiefs'. I mean this, not in relation to having authoritarian leaders, or arrogant, proud leaders, but rather people who are merely touching the surface of their potential might need to step up and become a leader. Leaders can either build followers, or build more leaders who will build more leaders. There are people in our Church congregations who have a spark of potential, if only there was someone to ignite the spark, and empower these people to step up to the next level. For example, the garden in the church needs to be maintained. We have one person who faithfully caretakes for the garden most days of the week, but unfortunately she can never keep up with all the work. What do we do? Do we merely encourage this lady to work harder and more effectively? Possibly, but what it we empowered her to become a group leader of a gardening team? She would recruit volunteers. She would delegate jobs to them. She would encourage maybe one of the helpers to become the co-ordinator every Wednesday, as this is her day off. You understand the point. Jesus had twelve disciples. Three of which he mentored closely. Then came Paul, who mentored Timothy to be a leader as well, among many others. The church needs good leaders, not just great volunteers. I believe that a private faith, is not a biblical faith. The Bible calls us to go. Isaiah records God saying, 'Who will go for me?' Matthew writes of Jesus, 'GO into all the World...' We are told in the New Testament to be ready to give a testimony about our Lord. We should have such a close relationship with Jesus, that others need to hear the good news. (2) We are really showing our own selfishness. We have a message of hope, of redemption, of full salvation, and we want to keep it to ourselves! (3) We highlight a fear/decision of not wanting to share the message of Jesus. (c) We've never really thought of what our testimony about God actually is, and so we are unsure what message we are sharing. A public faith, is a passionate faith. It makes us vulnerable. It relies on God for protection, and personal self-esteem. It does not let fear hold it back. 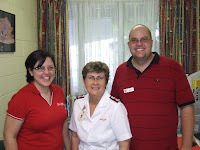 Do you know one of the greatest things The Salvation Army in the Australia Southern Territory struggles with? Is sharing its faith with other people (NCD results 2006/7). You guessed it. It's time for the Red Shield Appeal. I know you're busy... but is it worthwhile? Definitely. Put on your two pair of socks, and your tracky pants. Have your collecting bag ready to go. What an opportunity! We could see it as a chore. Sure. We could choose to see it as a hindrance. If you like. I prefer to see it as an opportunity. An opportunity to talk to people on the streets. A chance to rally together teams united and striving after a common purpose. 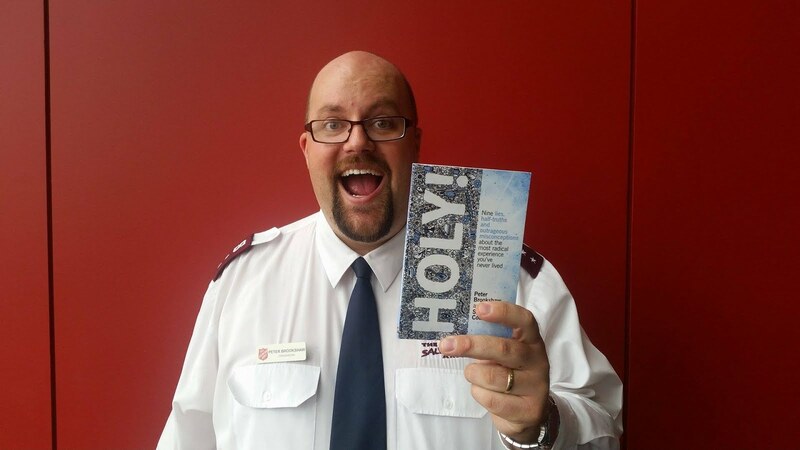 A moment when The Salvation Army will not only raise $8 million or so nation wide, but when differing cultures/organisations intersect, and excitement is paramount! Play it up. It's an exciting thing and a great blessing from God. Praise Jesus. * A good leader turns followers into good leaders. * 'Let your roots grow down into Christ and draw up nourishment from him. See that you go on growing in the Lord, and become strong and vigorous in the truth' (Col 2:7). 'I will be active in God's work both in sharing the gospel and in serving the needy, and will contribute financially to its support'. * Congratulations to my mate Shaun Featherston, on his new job at Point Cook (Snr) Secondary College. Bless ya mate! I've thought lately about the complexities of life. The joy we have when good news comes around. The grief we experience when there's a sudden lose of life. The anxiousness we feel when a job needs to be done and the satisfaction we gain from seeing results blossom from hard work. God bless you as we journey the path Jesus has set for us. Salvation for the whole world! The message of Jesus must infiltrate every part of our world. 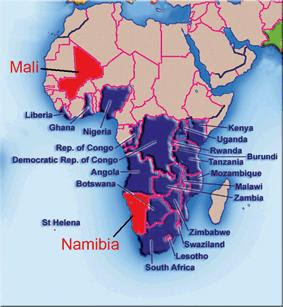 The Salvation Army has begun work this year in Mali and Namibia. There are still many northern parts of Africa that need to be reached. Have a passion for the world. Start a new small group. Tell someone about Jesus. Bring fairtrade coffee to a local supermarket. Collect $1,000 for the Red Shield Appeal. Support a TACO Trivia Night (Coming in September). There's a list I found recently. How do you stack up with this list? See, we aren't called to just be servants, but I believe servant leaders; not just visionaries, but team-builders to implement visions; not just enthusiastic people, but one with a purpose; not just open to change, but drives change. Bring justice to the oppressed. Bring the gospel to the lost. Lay your life down to God's Mission in the world. Speaker - I want to ask God to use me to communicate the message of Jesus to people more effectively and to use me to open up God's word into people's lives, so that they understand the gospel of Jesus. Apostle - I believe that from Ephesians 4:11 - that some are called to be Apostles, some Prophets, Evangelists, Pastors, Teaches. An apostle is someone that is sent from God, and someone God would use to Plant new communities of faith, innovate new expressions of ministry, etc. I ask that God would use me effectively as an Apostle, through his empowering presence! Leader - I don't want to merely be a follower. Jesus is the ultimate leader, and I believe I have an obligation to lead other people to him. To lead teams that will fulfill the visions placed on their hearts, to lead congregations to fulfil God's Great Commission (Go into all the World and make Disciples). To multiply and not merely add (or dare I say subtract). Visionary - Nehemiah had a vision of the walls of Jerusalem being rebuilt. David, the vision of a Temple. Paul, saw a vision of Jesus on the road to Damascus. Daniel had a vision of the end times. I ask God help me work towards fulfilling the visions he places on my heart. Without vision the people wander aimlessly (proverbs 29:18). Organiser - I enjoy examining the effectiveness of Church structures, and the times taken to make decisions, improving the local churches structures to facilitate and encourage growth and innovativeness and not to supress vision, or empowerment of leaders. I have been attempting to put together a personal mission statement over many months, and nothing has every clicked, until last night. * Leadership is about timing. God brought about a Reformation around the 16th Century, through people like Martin Luther. People said the same things as Luther said years before, but were not heard, as the timing wasn't right. * Maintainance seems to me, to actually be decline. When we find ourselves comfortable, we seem to not just maintain, but things actually fall backwards. * When we walk, we are constantly falling forward... a little bit like how faith should be. Stay tuned for a breakdown of my 'SALVO' acronym, and some scripture references that apply. In the mood for some deeper theological thought? Prevenient Grace - God's initial move toward restored relationship with fallen humanity. 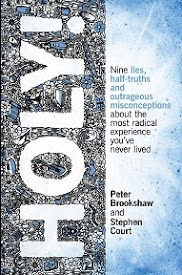 '...while God's gracious empowerment was the source of our resulting ability to sin, God is never the cause of our choice to sin' (Maddox, 1994: 61). 'I believe the infinite and eternal Spirit of God, equal with the Father and the Son, to be not only perfectly holy....but the immediate cause of all holiness in us: enlightening our understandings, rectifying our wills and affections, renewing our natures, uniting our persons to Christ, assuring us of the adoption of sons, leading us in our actions, purifying and sanctifying our souls and bodies to a full and eternal enjoyment of God'. * Someone spoke to me recently about the Oasis Film on ABC. 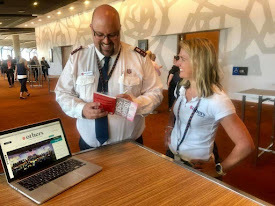 They said, 'I will never refuse to give to the Salvos ever again after watching that...' Check out: The Salvation Army website in Australia for more info. * Do you long to be successful? Great, but how do you measure success? People won't always come up and tell you when you've made a difference in their life. * John Wesley (18th Century), 'understood human salvation in its fullest sense to include deliverance (1) immediately from the penalty of sin, (2) progressively from the plague of sin, and (3) eschatologically (i.e. at the end of time!) from the very presence of sin and its effects' (Maddox, 1994: 143). Nehemiah heard news that the walls of Jerusalem had been destroyed, and after hearing this he wept, fasted and prayed. He then felt God wanted him to travel from Persia, where he was living, (Today: Iran), and travel about 700km west (through today's Iraq), to Jerusalem. Have you ever been half-way through something and then have just given up? Maybe it was a project, or a vision God gave you, or maybe a Uni degree... Then you just stopped. In the next part of the story of Nehemiah, people start criticising Nehemiah, and opposing his passion to rebuild the walls. Then the Jewish people start complaining... It's never gonna work Nehemiah. It's useless, we've never done anything like this before. In the midst all the things you have started, and are going through, and are experiencing, will you choose to STAND? To stand before God and say, 'I'm going to finish the dream you placed on my heart! I'm going to complete the study I believe you wanted me to do. I'm going to pay off this mortgage, and reclaim steady finances. I will STAND! In the midst of adversity, will you STAND? Just imagine running a program in a local church and many years go by... The same program is running, and the same people are attending, and everyone is having a great time. All of a sudden someone asks, 'So, what's the purpose of this program?' Defeaning silence is heard, as people wonder why anyone would ask such a question. Sometimes we run programs, and we never step back a little and assess why we are doing what we are doing. Or are we just entertaining a bunch of teenagers? Tickling the ears of oldies? Feeding people who already are full? Making disciples of no-one? Reforming anything that happens to be in our way? Is there purpose behind what YOU do? Are you longing to fulfil the mission of God, by engaging in purposeful ministry that establishes God's Kingdom here on Earth? Say hello to Major Geneen Wright, she's the Manager at the Sunrise Centre in Darwin, and coordinates Drug and Alcohol Services and a Homeless Shelter. 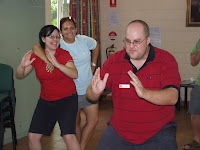 Here's Jo and I doing some Tai Chi at Sunrise. So watch out, if any of you cross with us, we know all the skills... Only joking! Our time at Sunrise was exciting and challenging. In the Chapel pictured above we spoke about our belief in Jesus and how his saving power can take your addictions and set you free. 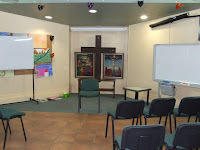 We did some chaplaincy, we looked at admin, we connected with Drug and Alcohol clients, we spent time in programs like anger management, and self-esteem and 'Boundaries'. One thought... When doing drug and alcohol rehab work, I believe we should closely integrate the practical skills for clients and the spiritual truths about Jesus in all this work. Sunrise is a great example of clients who have come off their addictions and have become followers of Jesus. Sounds like success to me. * Commissioner Jim Knaggs - Ever spoken to Jim? He'll stand up close, and share with you words of wisdom, and encourage you on your Christian journey. A leader who passionately shares his vision for the Territory (Australia Southern Territory) and I always personally feel compelled to follow his vision, as I have this assurance that what he speaks is of God! * General Eva Burrows - I went to a leadership day once, and people began to voice their opinions freely, and people were getting hot under the collar. 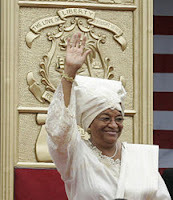 All of a sudden General Eva spoke, and everyone went silent, hanging on every word she said. Now, THAT is influence. John C. Maxwell says, that when the real leader speaks, people listen. Help us Lord to be influential leaders, for the sake of your Kingdom! Alan Hirsch, the author of 'The Shaping of Things to Come' knows the guys who run this site. It's authentic, and simple a good idea! Why not click on ONE HIT WONDER and donate $1 to overseas aid. Simple? Yes! * I read an email recently criticising Earth Hour saying that it does not intend it purpose of reducing Global Warming effects. I believe it helps to build awareness on the reality of global warming. * Interested in injustices? Check out Free West Papua which is a site dedicated to reporting the injustices that have and still occur for West Papuans with corruption and power issues with the Indonesian Government/Military. * Watched a documentary about Affordable Housing in Australia. There is no easy solution apparently. Pray for wisdom for the Minister of Housing in Australia! Check out: Minister for Housing - Australia (Hon Tanya Plibersek). * I took a Drug & Alcohol client (friend!) to Church on Sunday. He enjoyed it, mostly because he felt God was speaking to his heart... He's interested in going to Hillsong Conference in Sydney with Jo and I. * We are a Salvation Army. We want to see people saved. And for all those theologians reading... yes, fully saved, saved from sin, addictions, giving into temptations, etc. Save us Lord Jesus. Let the Revolution begin! Easter Saturday: The disciples lament. Easter Sunday: Jesus rises from the dead! Death could not hold him down! The devil couldn't hold him down. My mistakes couldn't hold him down. He rose. He is alive!! * What about the movie where they show they found Jesus tomb & bones...? --> How scientifically correct is this movie?? * What about where God goes on about BBQing Lambs on the altar... It doesn't make sense. --> In Old Testament times the Israelites used to sacrifice animals on an altar, in order to make a 'SIN Offering' to God. A sacrifice that would allow them to have relationship with God. Now, Jesus has come, and he died on that cross as the ultimate sacrifice, and that his death allows us to have relationship with God! EASTER CAMP! I'll post some photos soon. Youth from around the Northern Territory came and heard the message of Easter (Jesus died and rose again!). The Revolution is happening... I'll keep you posted. * Martin Luther King Jr. chose to stand up for the integration of both blacks and whites into American life. -> He didn't conform to the status quo - At one point he and his mates made the commitment of eating just fruit and vegies regardless what the Babylonian royalty were doing. ->He still continued to pray to God (Yahweh) even when the society told him not to! If you truly want a revolution, you need to make a revolution. Decide to live passionately and sold out to freedom and justice found in Christ! There's the excuse that they have done wrong in the past by their actions, so it's their fault that reconnecting into the community is so hard. Or is this just an easy excuse, so that we don't need to improve the bureaucratic system that we have created? Freed prisoners need our greatest support to reconnect them into meaningful community. They need people that support and love them, so they can move from relatively unknown surroundings; to employment, having a friendship base, networks in the community, mentors, etc. The Prisoner is Free. What will we do? "During World War II,the Japanese flew sixty-four raids on Darwin and thirty-three raids on other targets in Northern Australia. From the first raid on 19 February 1942 until the last on 12 November 1943, Australia and its allies lost about 900 people, 77 aircraft and several ships. Many military and civilian facilities were destroyed. The Japanese lost about 131 aircraft in total during the attacks." It's crazy to think that war hit the top of Australia only 65 years ago. It helps you to appreciate the safety in which most of us live. Although we recognize that many wars still exist today in many countries around the world. Here's a reminder today that we fight in the present, not with weapons that harm physically, but spiritually with the Word of God, against the evils and sin of the world. A spiritual war that brings peace into the lives of God's followers. Ephesians 6:10 - "Finally, be strong in the Lord and in his mighty power. 11Put on the full armor of God so that you can take your stand against the devil's schemes. 12For our struggle is not against flesh and blood, but against the rulers, against the authorities, against the powers of this dark world and against the spiritual forces of evil in the heavenly realms." Weddings capture those precious moments where families unite and we celebrate the connecting of two people in marriage. For us on Friday it was my sister-in-law Lisa marrying her fiance Scott in the parkland of Footscray (Melbourne, Australia!). Reminincing back to December 2004 I remember my wedding and the promises I made that day in the sight of God and the people gathered... In the book of the Bible called Ecclesiastes it says that a three braided cord is not easily broken. When God is binding a marriage together it is not easily torn apart. * The door is locked to the presence of God. I need the key. * The door is closed on passion. Pass me the key. * The door is locked to radical disciples entering in. Where's the key? * The devil is prowling around, and I've accidentally secured the deadlock. If only I had the key. * People are attempting to worship, but aren't fully expressing their love for God. Have you seen the key? * Potential leaders never seem to be stepping into the door of opportunity. They need the key! I was searching around for the key the other day, and I found it in the Word of God. Matthew 16:19 -'I will give you the keys of the kingdom of heaven; whatever you bind on earth will be bound in heaven, and whatever you loose on earth will be loosed in heaven.' Then I realised... the key was prayer. Greater things are happening in Darwin, because people have been committing to 24/7 prayer. This includes one African woman being delivered from oppression and being filled with the Holy Spirit! God opens doors, when we pick up the key and ask God to please use it!! * Accidentally pressing the button for the lowering of the coffin at the beginning of the service! * Having to lower the coffin at the beginning because the sides of the dug grave were caving in. * A family rings the Crematorium because they wanted to receive back their father's hip replacement, made of pure gold, only to be told the body has already been burnt and the gold had melted. * Saying the wrong things, like praising God for the death of a 13 year old girl, because 'it must be in his will'... Gee... I don't know I would say that! * Pastoral visits of grieving families... with all the varied reactions, for example, family disputes/arguments, power struggles, queries about 'The Will' before proceeding with the funeral, families that are actually relieved at the death of a relative because they were 'an abuser'. This all being said... A funeral is no doubt a priveleged time of ministry for a minister. A time to support families deal with grief, to offer support, prayer, stability, and a 'shoulder' to cry on. I look forward to the opportunities I will have in the future to support families through the funeral process, and to speak prophetically into their lives at such a crucial time.